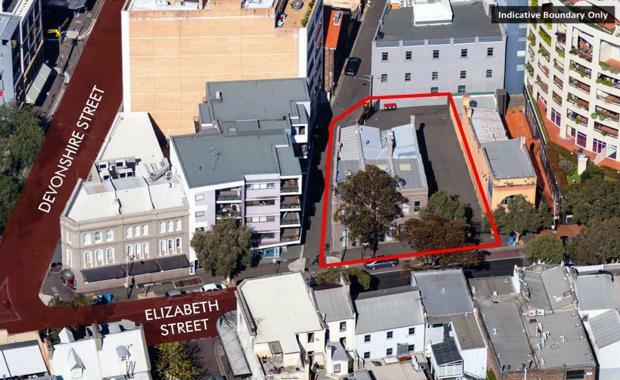 A Surry Hills site has set a new precedent for development-ready properties in the city fringe area after selling for $9.25 million to a local developer - $250,000 above the reserve. The 620 sqm corner site, located at 432-442 Elizabeth Street, boasts a high profile position close to transportation hub, popular amenities including restaurants and retailers, and the CBD. The large level site combining two titles benefits from favourable planning controls encouraging re-development, including B4 mixed use zoning. CBRE's Gemma Isgro and Anthony Bray sold the property on behalf of the private vendor, who has owned the site for over two decades, via a public auction. Mr Bray said the site's strategic position in the tightly held Surry Hills market and the flexible mixed-use zoning were key selling factors. "The site was hotly contested, with the campaign extracting over 150 interested parties from the market, and excess of 30 contracts being issued and multiple bidders competing in the auction room to achieve the final result of $250,000 above the reserve. ""The strong sales result is evidence of the confidence developers have in the city-fringe market, particularly when recent residential developments in the area, such as Foveaux Street development at 81 Foveaux Street, have demonstrated the extraordinary level of interest for residential properties - with 3150 buyers registering for the 53 apartments. "The purchaser plans to capitalise on the investment potential of the site and re-develop it into residential units with a small retail/commercial component," Ms Isgro said. "With no competing development stock available in the area, the scale and potential for 432-442 Elizabeth Street made this sale extremely competitive."